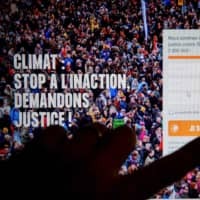 PARIS - A petition launched by French environmental groups calling for legal action against the state for failing to act to curb climate change has received unprecedented public support after weeks of fuel-price protests. By Friday morning the project, launched by four climate NGOs, had gained just under 2 million signatures a mere 10 days after going live. 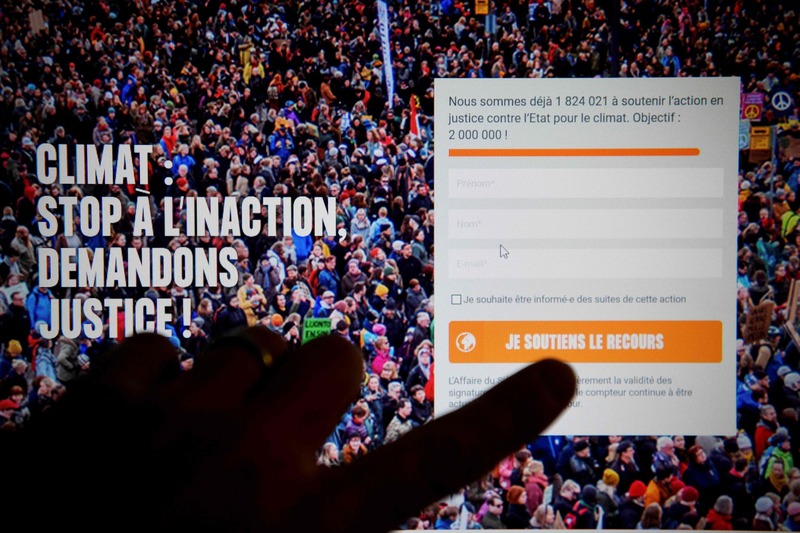 That makes it the most popular online petition in France’s history, easily eclipsing the 1.37 million signatories who resisted changes to the nation’s labor laws in 2016. It also dwarfs the 1.17 million backing a demand launched in May by one of France’s “yellow vest” protesters calling for lower gas prices at the pump. “It’s not just a petition, but also a call for legal action,” said Jean-Francois Julliard, CEO of Greenpeace France, one of the groups behind the initiative. The yellow vest movement began this year as a protest against fuel tax hikes that were planned to reduce pollution. At its peak on Nov. 17, nearly 290,000 demonstrators mobilized throughout France, causing widespread disruption. The protests prompted a climb-down from President Emmanuel Macron’s government, which announced that all fuel tax hikes planned for 2019 will be scrapped. But this failed to quell the discontent of the yellow vest movement, which has morphed into a revolt against Macron’s policies, his aloof, top-down governing style and the political class as a whole. Macron, who earned global plaudits for pledging to “make our planet great again” after taking office, has also come under pressure in recent months from environmental groups that insist more needs to be done to tackle the rising threats of climate change. His popular environment minister Nicolas Hulot resigned earlier this year over the government’s green record, including its walking back a commitment to reduce reliance on nuclear energy. As greenhouse gas emissions continue to rise in spite of dire warnings from scientists, there is a growing body of legal challenges worldwide against governments and big polluters accused of endangering the planet.